Another month, another monthly favorites! I've been getting busier and busier lately, but I feel like my love for makeup has been reignited. I've been experimenting with new products and texture again instead of being stuck in a makeup rut. Keep reading to see what my September favorites were! 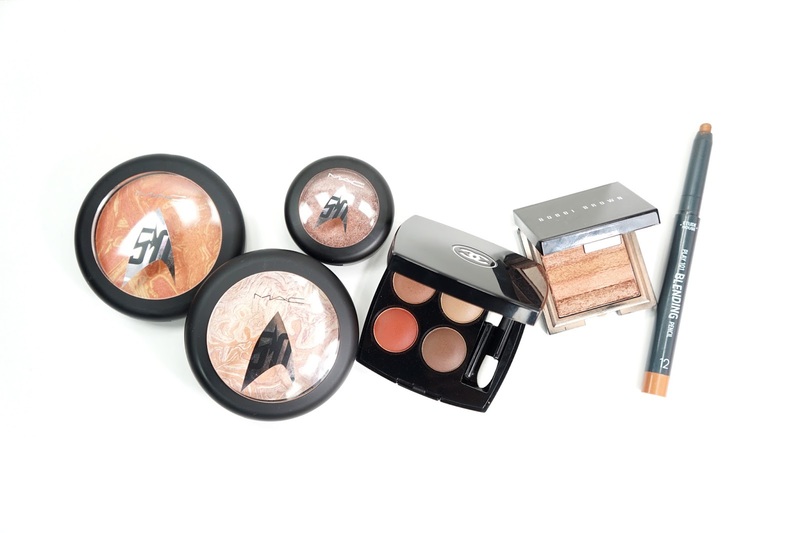 I was sooo excited when the MAC x Star Trek collection got announced! It's a combo of two of my favorite things - makeup and nerd stuff. I felt like MAC missed some opportunities (like a highlighter called "Beam Me Up, Scotty!") but there were so many beautiful things in this collection. The Trip The Light Fantastic Powders in Luna Luster and Strange New Worlds are marbleized shimmery colored highlighters and they give such a beautiful sheen on the cheeks. I use Luna Luster as a pinky highlighter (and you know pinky highlighters are favorites in general) but Strange New Worlds works so well as an orangey blush on my skin tone. 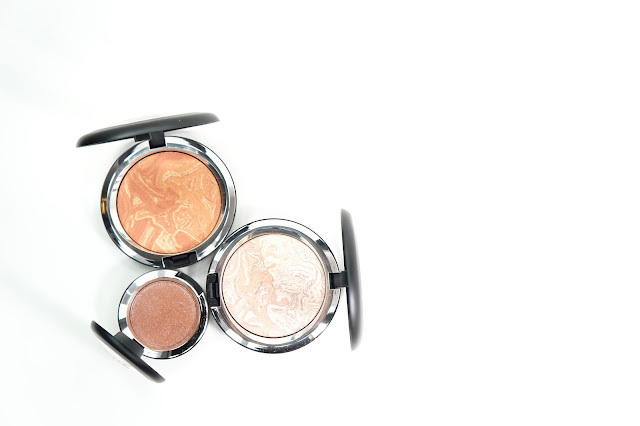 The last product I got from this collection was the Pressed Pigment in To Boldly Go. It is a bit too much (as in too red) when used by itself, but I love how it looks paired up with other products. When used dry, it works kind of like an eyeshadow toper and adds a bit of glitter and oomph. When used wet, it transforms to have more glitter and looks so metallic and reflective. Because of To Boldly Go, I'm definitely going to pick up some more of MAC's pressed pigments. The Bobbi Brown Mini Shimmer Brick in Bronze has been such a favorite lately to add some glow and warmth to my face. I like that I can also customize a bit of the color depending on how dark I want to go and it's great on the eyes as well when I don't want to reach for more products. I do sometimes go overboard with this product though and so it ends up looking metallic. Even though this product is super shimmery (and then eventually metallic), there are no glitter particles at all and never emphasizes my pores. The next product was an unnecessary and way too expensive purchase, but I am so glad to have it in my life. The Chanel Les 4 Ombre in 268 Candeur et Experience is a satin quad with three shades of brown and a surprisingly really wearable red. I saw unnecessary because the browns themselves aren't special and it's mostly the red shade that made me want to get the palette. I was also in a "treat yo self" mood when I got it, but I have been wearing it almost every day paired up with the MAC x Star Trek Pressed Pigment in To Boldly Go. The eyeshadows swatch sheer (which was disappointing in stores) but apply so much better and more pigmented using a brush. 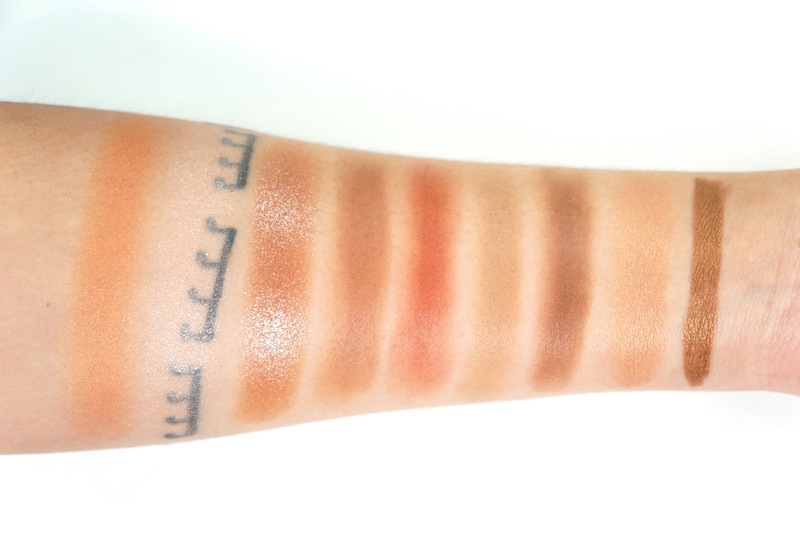 The shadows are smooth and because they were satin instead of matte, they blend out so well. My last September Favorite is the Etude House Play 101 Blending Pencil in 12. Even though I already have so many favorite cream eyeshadow sticks, I'm always on the look out for more to add to my collection. I'm a general lover of the Play 101 Pencils and so I'm glad that they expanded the Play 101 line to include chunkier pencils for the eyes and lips. The formula is so creamy and they're very comparable to the higher end cream eyeshadow sticks I've tried. 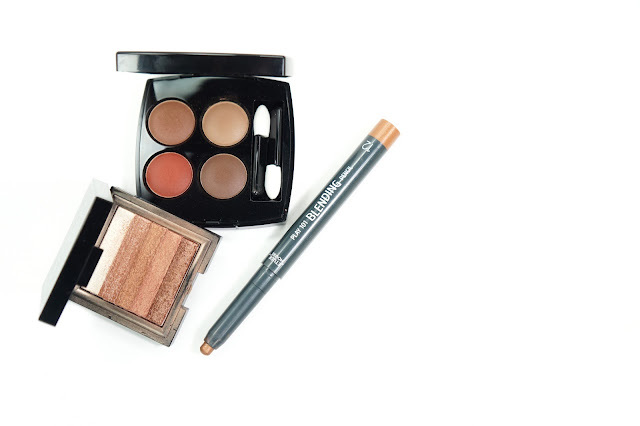 I have two other colors, but #12 is such a beautiful every day color and falls under the umbrella of color like Urban Decay Smog and Burberry Pale Copper, which are my every day staples for simple one product eye looks. and those were my September Favorites! What were your September Favorites? Have you tried any of these products?